Notes: Record audio up to 12 x louder than standard smartphone microphones. Prevents interference and feedback. Compact and easy to transport. Weatherproof body makes it durable in a range of settings. Notes: Ever wonder how your favourite recordings seem to leap from the speaker, with vocals that magically float above even a dense background track? That's compression. 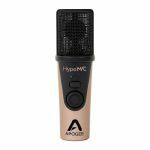 HypeMiC features studio-quality analogue compression that's easy to use and brings the magic to your vocals, voice-overs, instruments, percussion, and podcasts - anything you record! With HypeMiC and your iPhone or computer, you can make amazing recordings on the go. HypeMiC's unique analogue compression enhances vocals like no other microphone. The three compression settings available in HypeMiC give you a truly balanced and "mixed" recording, reducing the need for extensive processing and mixing. Capturing your perfect take has never been easier. Ideal for live streaming, podcasts and broadcasts, HypeMiC balances audio dynamics for greater clarity resulting in better 'broadcast ready' recordings. HypeMiC is compatible with any Mac/PC and iOS app that allows you to select an audio device so you're never without a pro studio when you are on the go. HypeMiC is an awesome way to introduce new sounds into your recordings and mixes. You can send audio out of the HypeMiC stereo output into a mixer, audio interface and stand-alone recorder to capture the unique and bold sound of HypeMiC's compression settings. Like its cousins, Jam+ and MiC+, HypeMiC also features a 1/8" stereo headphone output and Blend function for zero latency monitoring. The Blend button allows you to easily adjust how much direct signal input (sound going into the microphone) you hear mixed with software playback (sound coming out of your computer), enabling you to dial in the perfect mix. Whether you're monitoring as you play and record with your favourite app, or streaming audio, the stereo output on HypeMiC dramatically improves the playback quality of your audio. With high resolution sample rates up to 96k and ample headroom, HypeMiC delivers incredible clarity and plenty of volume to your headphones or powered speakers. Notes: The MOTIV MV88 Digital Stereo Condenser Microphone connects directly to any Apple device via a Lightning connector to create a powerful mobile recorder for capturing studio-quality recordings. 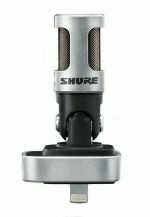 The compact MV88 features a hinged, 90-degree adjustable mid-side microphone element for highly flexible microphone positioning. Pair with the free ShurePlus MOTIV Recording iOS App for detailed real-time audio control. The MV88 is the perfect high-fidelity solution for mobile capture of all variations: live performance, interviewing, audio for video and vocal and instrument recording. 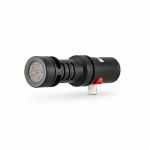 Shure-tested, all-metal construction with included windscreen for reliable and durable performance in any environment. With an innovative mid-side architecture for clean and clear stereo imaging, the MOTIV MV88 Digital Stereo Condenser Microphone directly connects to any Apple device via a Lightning connector to control a powerful mobile recorder for capturing studio-quality recordings. 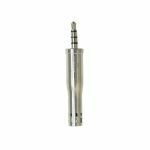 The compact MV88 features an innovative hinged 90-degree adjustable microphone element for highly flexible microphone positioning. Yes. Pair with the free ShurePlus MOTIV Recording iOS App for detailed real-time audio control, including five built-in DSP preset modes (Speech, Singing, Flat, Acoustic Instrument, Loud), microphone gain, stereo width, and high-quality 24-bit /48 kHz recording. Notes: The MV88+ Video Kit is your mobile professional recording rig. 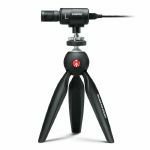 Package includes Manfrotto PIXI Tripod, phone clamp & shoe-mount mic clip, USB-C & lightning cables, making it ready for audio and/or video capture right out of the box. The free ShurePlus MOTIV audio & video Apps enable recording control, and the ability to save and share your content in multiple formats. The MOTIV MV88+ Video Kit is a premium Digital Stereo Condenser Microphone. Your new mobile recording rig directly connects to any Apple device via a Lightning connector, or via USBC to select *additional devices. The MV88+ has all you need to capture great content right out of the box. The included phone mount is also compatible with your existing set-up, allowing to connect to any tripod with a 1/4"-20 (or 1/4 camera tripod) connector. The free ShurePlus MOTIV audio & video Apps enable recording control, and the ability to save and share your content in multiple formats. Acoustic Instrument, Loud), microphone gain, stereo width, and high-quality 24-bit /48 kHz recording. The MV88+ Video Kit is the perfect high-fidelity solution for mobile capture of all variations: live performance, field recording, interviewing, audio for video and vocal and instrument recording.